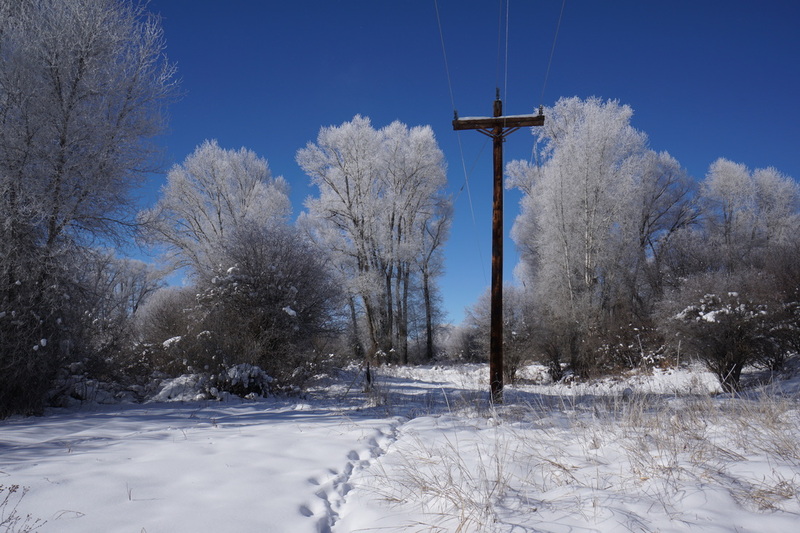 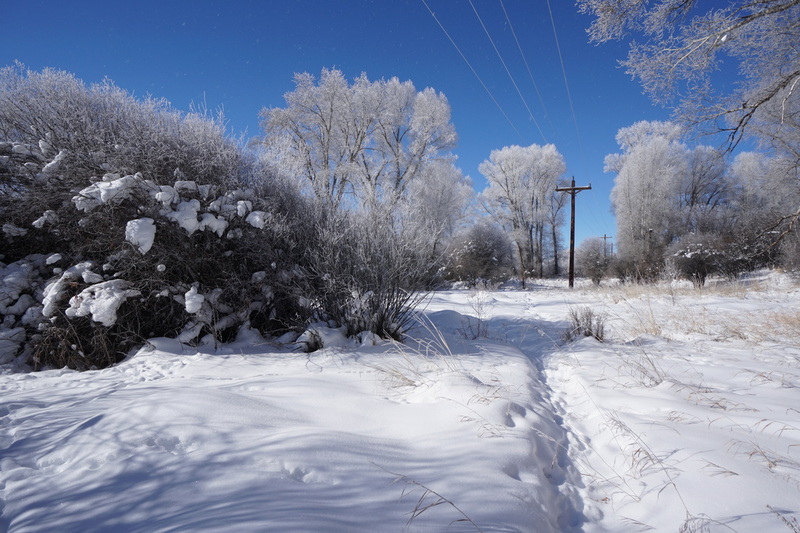 Directions: The trailhead & parking area is located on Hwy 40 west of Hot Sulphur Springs and west of Byers Canyon. 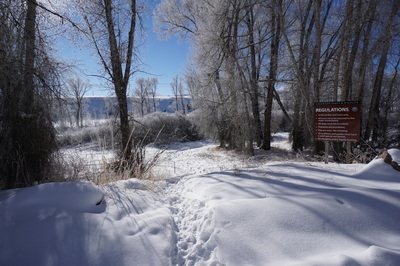 Park at the easternmost parking area and head down the trail to the Colorado River. 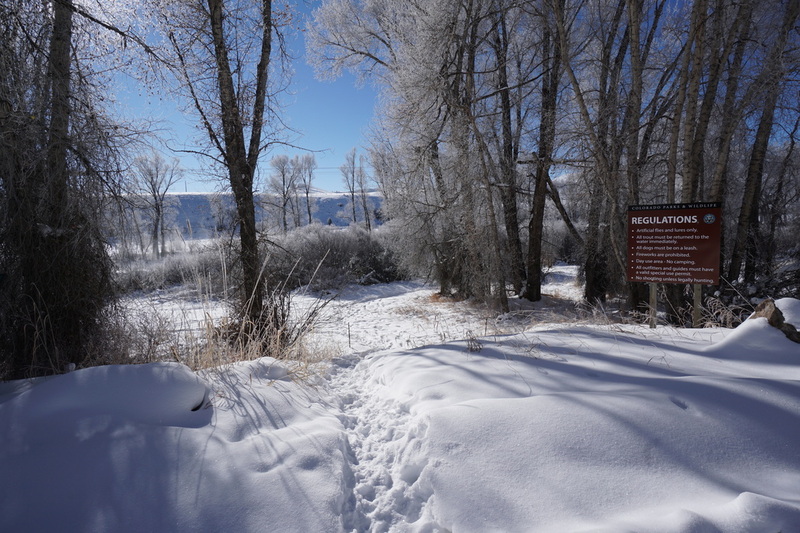 The Hot Sulphur Springs State Wildlife Area is made up of three small parcels along Hwy 40 and the Colorado River. 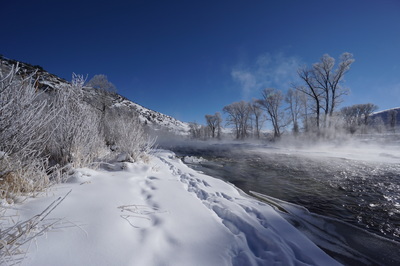 The area is used predominantly for fishing access and camping, but you can follow spotty trails along the scenic banks of the Colorado River. 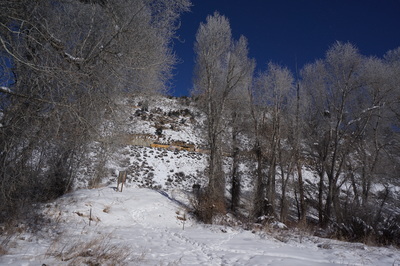 The hiking is limited here but the area is beautiful and worth a quick stop if you are passing through. 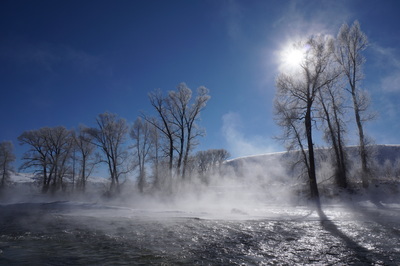 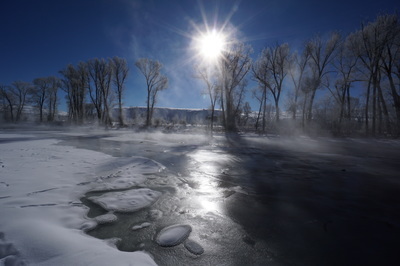 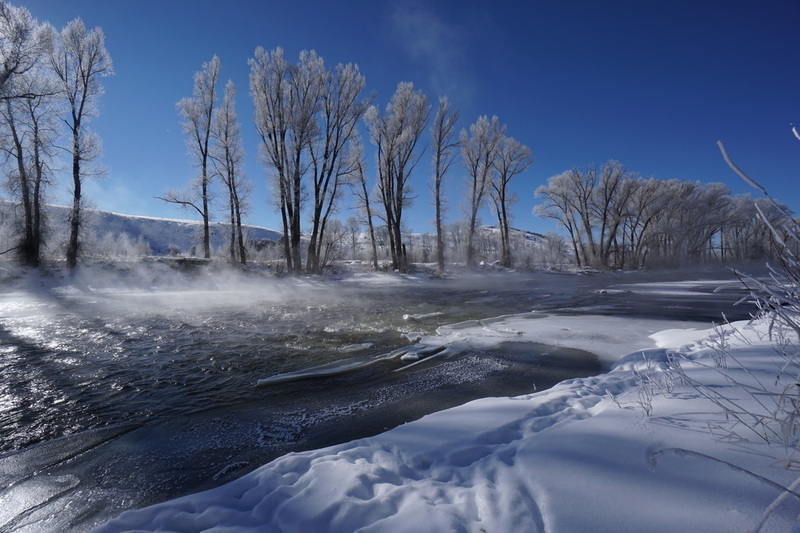 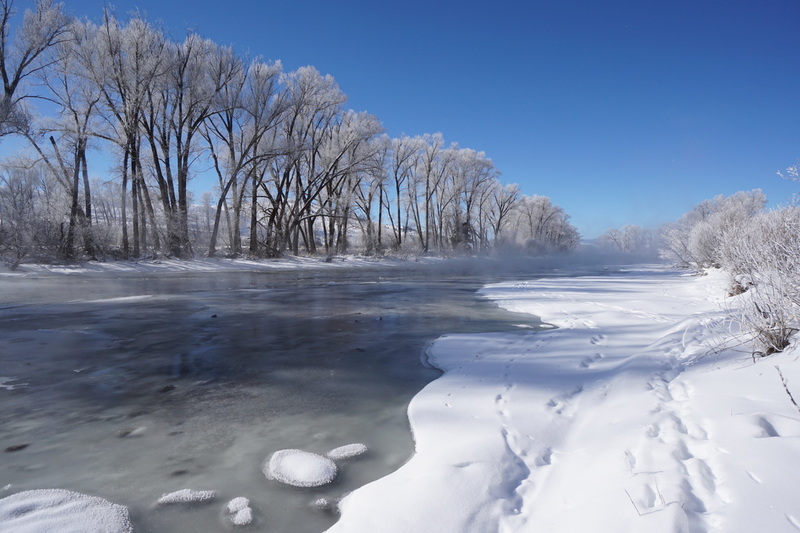 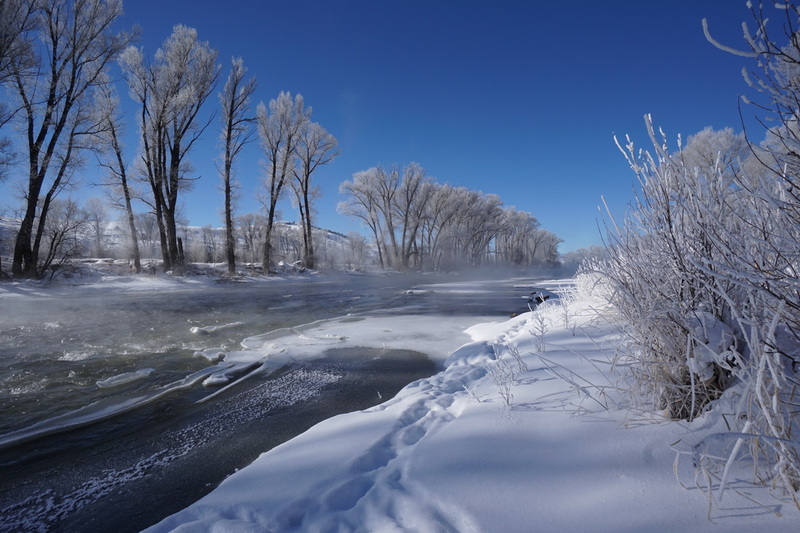 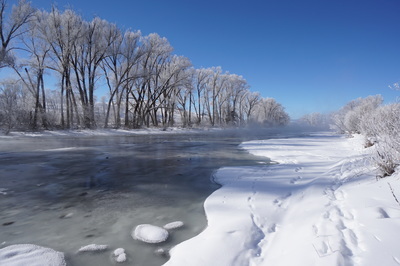 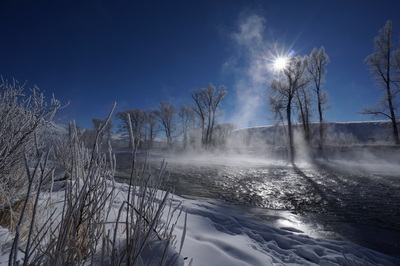 These photos were taken from the easternmost parcel on a day when the air was -15 degrees, making the Colorado River steam as if it was a hot spring, truly a beautiful sight to see.